At Movemeon, we see what 29k+ consultants get up to when it comes to job moves. We all know that consultants are highly skilled and in-demand job applicants. We have also written about the industries, functions and locations that receive large volumes of applications from consultants already. 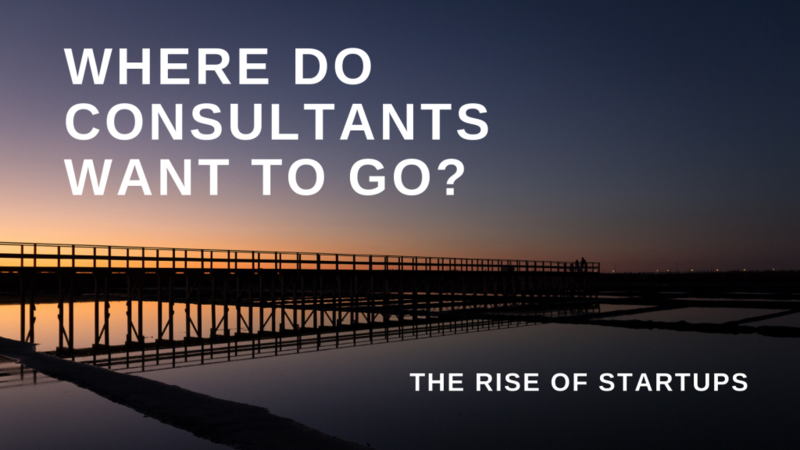 So this article looks at something else: where do consultants want to go? While most consultants would like to work in start-ups, most (64%) would also like to work in strategy. This calls for a reality check: most start-ups simply do not have strategic positions until they get past the stage where they have, say, 100+ people. In the growth stage, execution is infinitely more important than strategising, and overall strategy is set by the founders. So those consultants looking to move from consulting to start-up should consider operational and growth (which is basically business development) roles. These positions will still suit consulting skills, and they can be a good experience for a second (third, fourth, etc…) move to a strategy role. What is most interesting to those of us behind the scenes at Movemeon is that mainstream industries no longer attract consultants. After the top 5 shown above, only E-commerce, Online/Internet services, Media & Telecommunications, Retail, and Consumer goods are attractive to more than 20% of our members. In other words, consultants want new, innovating and consumer-facing industries.